Each piece heavily potted and applied with three prunus sprays in high relief. 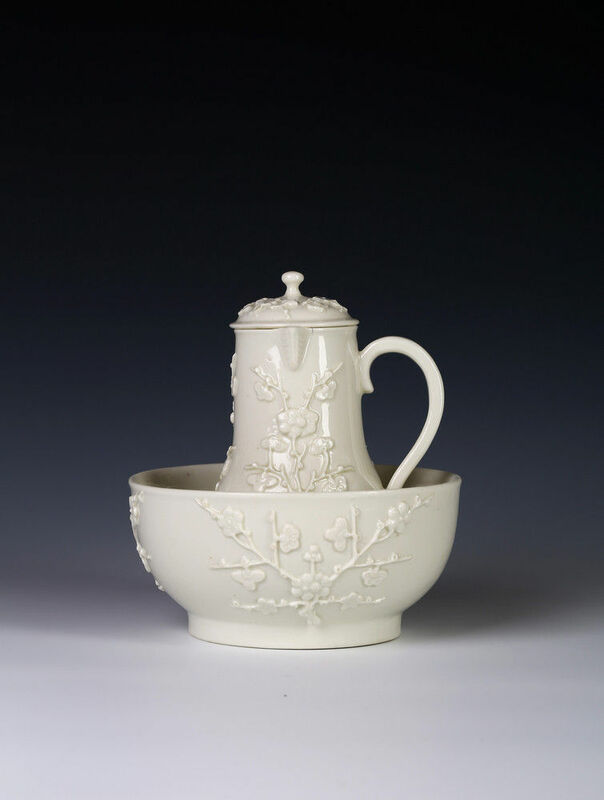 The jug with handle set at right angles to the spout. 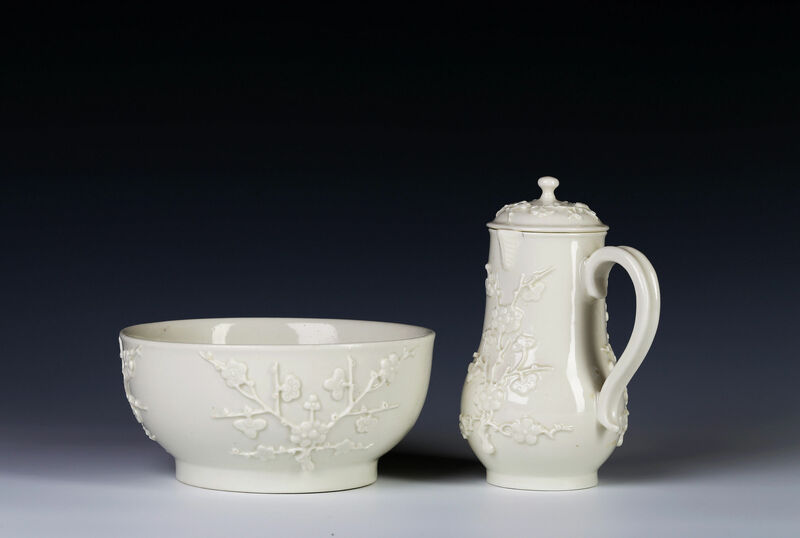 Other examples of water jugs with covers and basins are known, typically with the handle set opposite the spout. A prunus-moulded example in the Musée de la Céramique in Rouen, is illustrated in The Saint-Cloud Manufactory, The Bard Graduate Centre, p171; and another with moulded decoration is in Sèvres, Cité de la céramique (inv MNC 5074). Condition – Perfect. A short firing crack beside the spout, and a minute glazed-over chip in the foot of the basin are original.